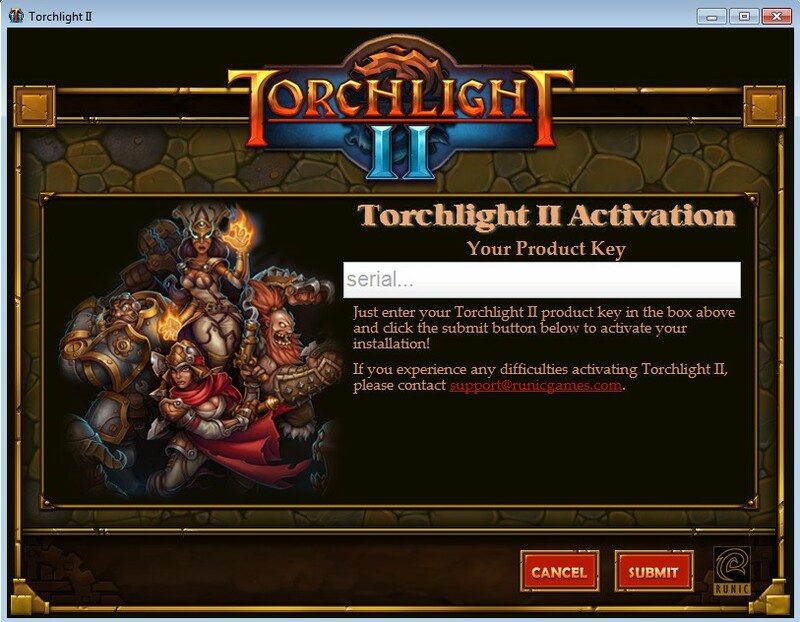 Once you’ve downloaded Torchlight 2, check the email address that you registered with Arc to get your Activation key. 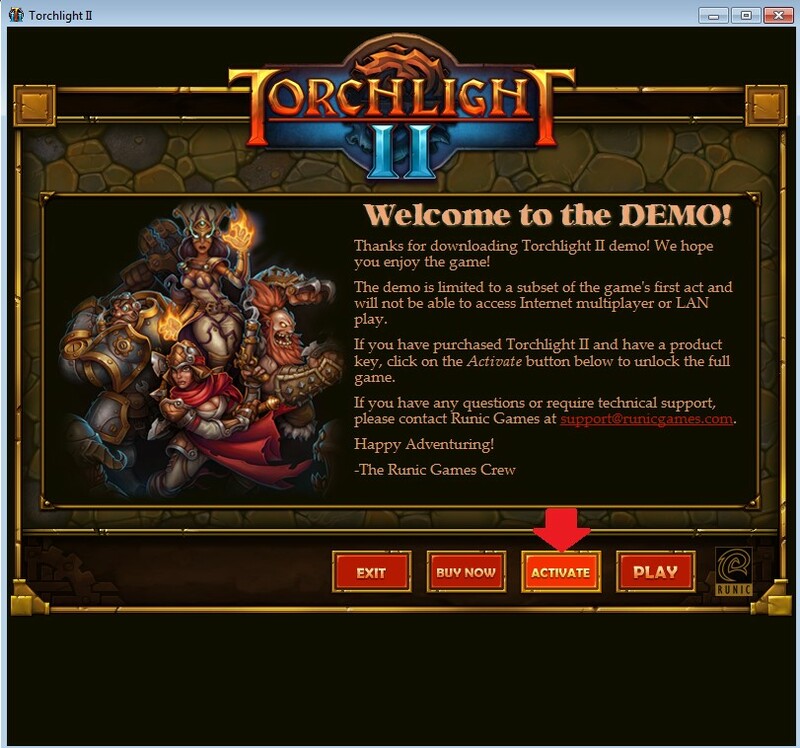 This will grant you full access to Torchlight 2. Input your Activation Key in the box, and you’re all set! Congratulations, you now own Torchlight 2. Happy gaming!